Expensify has a direct integration with Nextravel -- when you book a trip in Nextravel, Expensify automatically imports the receipt into both the cardholder and the traveler's accounts in Expensify. Expensify also syncs any changes or cancellations made in Nextravel. Enabling the integration takes just a few seconds. To enable, log in to NexTravel as an admin and navigate to the Integrations section of Settings. 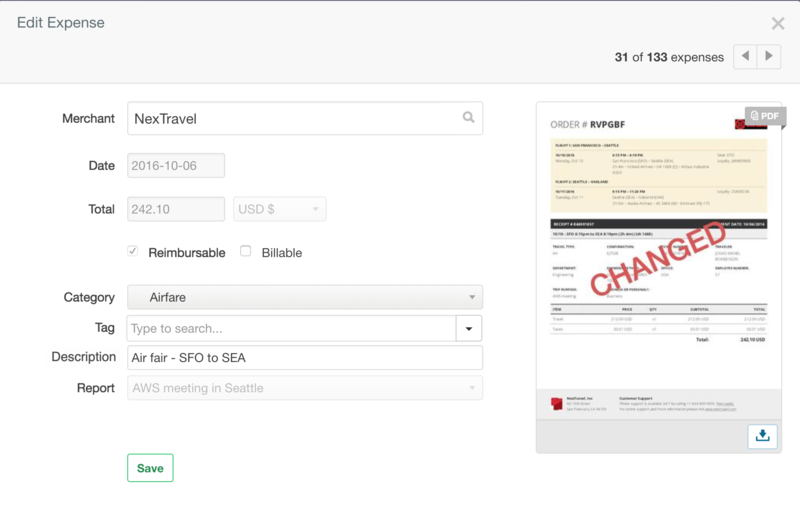 From there, click on the toggle to enable the Expensify integration. 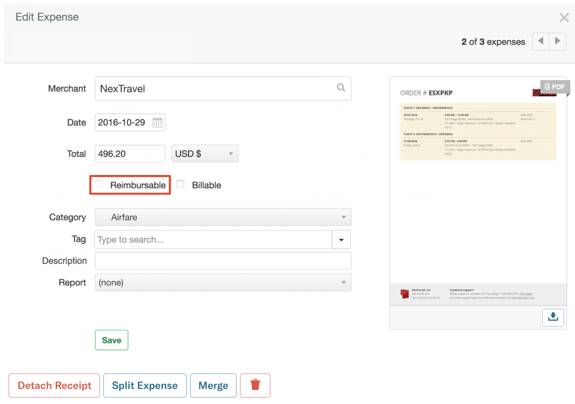 When an employee makes a booking in NexTravel, we automatically import the receipt from the booking into both the traveler's and the cardholder's accounts in Expensify. If the traveler and the cardholder are the same, we import a receipt into that individual's account. 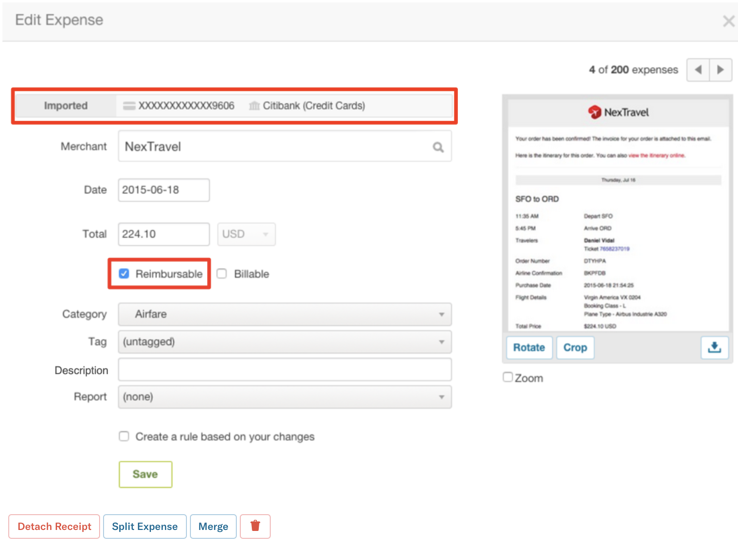 If the cardholder also has their credit card connected in Expensify, the NexTravel receipt will automatically merge with the associated credit card transaction. If the card transaction is reimbursable, the merged expense will be reimbursable. If the card transaction is non-reimbursable, the merged expense will be non-reimbursable. The receipt imported into the traveler's profile will be read-only and will not be listed as reimbursable (as shown below). 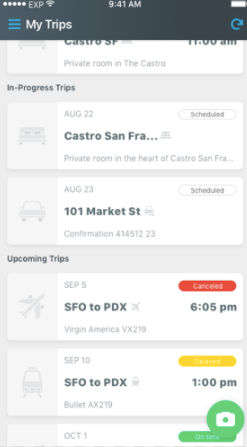 In addition to automatic receipt import, the Expensify/NexTravel integration also makes trip information available in the Trips tab of the traveler's mobile app. Changes and CancellationsIf a change or cancellation occurs in NexTravel, this also syncs with Expensify. If there is a change, Expensify will import the new receipt into the cardholder's account and stamp "CHANGED" on the old receipt. Again, this receipt will also automatically merge with the respective credit card transaction associated with the change, if it exists in the user's account. If there is a cancellation in NexTravel, Expensify will import the new receipt into the cardholder's account and stamp "CANCELLED" on the old receipt. This receipt will then merge with the respective credit card transaction associated with the change, if it exists in the user's account. For the traveller, in the case of a change or a cancellation, Expensify will import the new read-only receipt into the that individual's account. 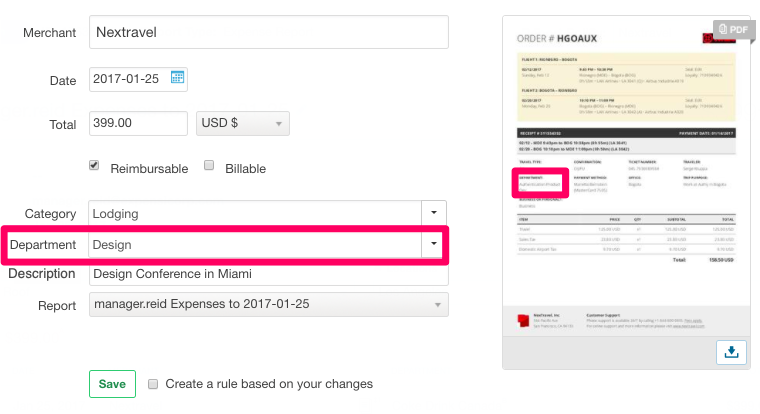 Expensify now automatically applies Custom Fields selections from Nextravel to expenses in Expensify.